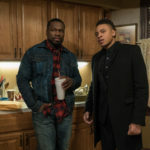 Power After Hours: The #PowerTV Podcast http://www.nonstopculture.com/category/powerpodcast/ Entertainment and Trending News Discussion Thu, 13 Sep 2018 04:43:26 +0000 en-US hourly 1 https://wordpress.org/?v=4.7.13 This podcast covers the critically acclaimed Starz drama Power! 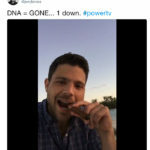 As part of the next evolution of the Power Parties created out of social media buzz, Jeff J. and Krissy Bri discuss every episode including the themes, theories, pop culture influence, and news associated with the cast and crew of Power. Fans make this show, and your questions and comments will be addressed! Send all questions to @NonstopCulture on all social and info@nonstopculture.com via email. Nonstop Culture yes Nonstop Culture jeffjinfo@gmail.com jeffjinfo@gmail.com (Nonstop Culture) 2017 Type ill Media, LLC Power After Hours: The Power on Starz Podcast Power After Hours: The #PowerTV Podcast http://www.nonstopculture.com/wp-content/uploads/powerpress/PowerPodcastAH2018FAN-344.jpg http://www.nonstopculture.com/category/powerpodcast/ jeffjinfo@gmail.com Yes TV-14 Power After Hours: Episode 510 Recap – “When This Is Over” http://www.nonstopculture.com/2018/09/13/power-hours-episode-510-recap/ http://www.nonstopculture.com/2018/09/13/power-hours-episode-510-recap/#respond Thu, 13 Sep 2018 04:42:45 +0000 http://www.nonstopculture.com/?p=3966 We’re at the end of the road for #PowerAfterHours with the Season 5 finale! Jameer (@ItsJameer), Taj (@Tajrani) and Cedric (@CedricShine) join me to talk everything about this season! Including: Has Power really evolved into a new show or is it more of the same? Is Angela a hero? Who’s the most trash on this […]]]> http://www.nonstopculture.com/2018/09/13/power-hours-episode-510-recap/feed/ 0 We’re at the end of the road for #PowerAfterHours with the Season 5 finale! Jameer (@ItsJameer), Taj (@Tajrani) and Cedric (@CedricShine) join me to talk everything about this season! Including: Has Power really evolved into a new show or is it more of... We’re at the end of the road for #PowerAfterHours with the Season 5 finale! Jameer (@ItsJameer), Taj (@Tajrani) and Cedric (@CedricShine) join me to talk everything about this season! 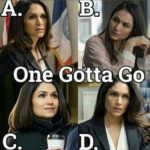 Including:<br /> <br /> Has Power really evolved into a new show or is it more of the same?<br /> <br /> Is Angela a hero?<br /> <br /> Who’s the most trash on this show?<br /> <br /> Why is everyone a deadbeat parent?<br /> <br /> Tommy's gullible nature<br /> <br /> Our thoughts on Season 5 and whether season 6 will be its last.<br /> <br /> Plus YOUR questions on POWER TALK! We're finishing off Power After Hours strong! 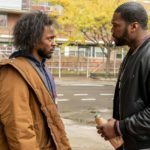 Nonstop Culture yes 1:57:13 Power After Hours: Episode 509 Recap – “There’s a Snitch Among Us” http://www.nonstopculture.com/2018/09/06/power-hours-episode-509-recap-theres-snitch-among-us/ http://www.nonstopculture.com/2018/09/06/power-hours-episode-509-recap-theres-snitch-among-us/#respond Thu, 06 Sep 2018 15:05:06 +0000 http://www.nonstopculture.com/?p=3961 This week Jeff J. is riding SOLO to provide you with his thoughts on the penultimate episode of Power season 5! He discusses the rise and fall of Tony Teresi, Angela’s idiocy, Tariq morphing into an elite gangster and why #TariqMustLive, Raina’s resurrection, and a major Social Media Spoiler Alert warning for those who like […]]]> http://www.nonstopculture.com/2018/09/06/power-hours-episode-509-recap-theres-snitch-among-us/feed/ 0 This week Jeff J. is riding SOLO to provide you with his thoughts on the penultimate episode of Power season 5! 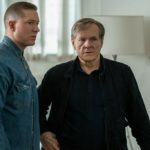 He discusses the rise and fall of Tony Teresi, Angela’s idiocy, Tariq morphing into an elite gangster and why #TariqMustLive, This week Jeff J. is riding SOLO to provide you with his thoughts on the penultimate episode of Power season 5! 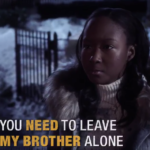 He discusses the rise and fall of Tony Teresi, Angela's idiocy, Tariq morphing into an elite gangster and why #TariqMustLive, Raina's resurrection, and a major Social Media Spoiler Alert warning for those who like to leak season finale's 5 days before they air, smh. Jeff gets to your questions in #PowerTalk too! 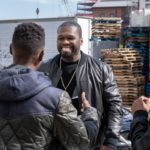 Nonstop Culture yes 33:15 Power After Hours: Episode 508 Recap – “A Friend of the Family” http://www.nonstopculture.com/2018/08/28/power-hours-episode-508-recap-friend-family/ http://www.nonstopculture.com/2018/08/28/power-hours-episode-508-recap-friend-family/#respond Tue, 28 Aug 2018 06:53:37 +0000 http://www.nonstopculture.com/?p=3957 Bruh… Did they just did that?! [SPOILERS BELOW!!!] 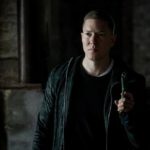 This week I’m joined by DJ Ben Ha Meen (@DJBenhameen) as we talk about one of the most shocking episodes of POWER ever! Kanan Stark is dead…wow I can’t even believe I typed that. 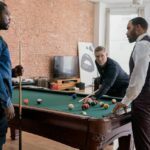 We discuss the fallout from the death of Ghost and Tommy’s frenemy, his […]]]> http://www.nonstopculture.com/2018/08/28/power-hours-episode-508-recap-friend-family/feed/ 0 Bruh… Did they just did that?! [SPOILERS BELOW!!!] 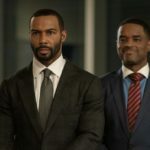 This week I’m joined by DJ Ben Ha Meen (@DJBenhameen) as we talk about one of the most shocking episodes of POWER ever! Kanan Stark is dead…wow I can’t even believe I typed that. This week I’m joined by DJ Ben Ha Meen (@DJBenhameen) as we talk about one of the most shocking episodes of POWER ever! Kanan Stark is dead…wow I can’t even believe I typed that. We discuss the fallout from the death of Ghost and Tommy’s frenemy, his place among all Pop Culture Starks, his top moments, and more. Plus YOUR questions and commentary on POWER TALK! 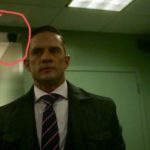 Season 2 of Power has thematically highlighted the Ghost “happily ever after” fantasy. In this narcotic funded Utopia, he rides into the sunset with his high school sweetheart, overseeing his (now legit) businesses without a care in the world. Unfortunately for him, reality was far more sinister. The ominous title of this episode, “Ghost is Dead” represents the endgame for James St. Patrick. Ghost must die in order for James St. Patrick to live. His exit strategy needs flawless execution in order to succeed. 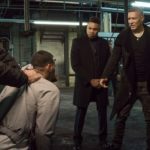 The season finale of Power brought us the culmination of Ghost’s plan, and the repercussions of his actions will provide the foundation for a hectic season 3.Click Here To Read The Full Recap On HipHopWired! 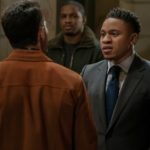 ]]> Nonstop Culture yes Power Season 2 Episode 9 Review: “Time’s Up” http://www.nonstopculture.com/2015/08/11/power-season-2-episode-9-review-times-up/ http://www.nonstopculture.com/2015/08/11/power-season-2-episode-9-review-times-up/#respond Tue, 11 Aug 2015 13:00:25 +0000 http://www.adhdshow.com/?p=2508 http://www.nonstopculture.com/2015/08/11/power-season-2-episode-9-review-times-up/feed/ 0 Jeff and Krissy are still yelling #FreeTommy, react to the shocking end of this episode, and discuss Ghost's next moves during the Power Season 2 Episode 9 Review: "Time's Up". This is a hot one. LISTEN UP! For a recap of this episode, check the write-up on HipHopWired! ]]> Nonstop Culture yes Power “Three Moves Ahead” Review http://www.nonstopculture.com/2015/08/04/power-three-steps-ahead-review/ http://www.nonstopculture.com/2015/08/04/power-three-steps-ahead-review/#respond Tue, 04 Aug 2015 13:00:24 +0000 http://www.adhdshow.com/?p=2499 http://www.nonstopculture.com/2015/08/04/power-three-steps-ahead-review/feed/ 0 Jeff and Krissy review the latest episode of Power: "Three Steps Ahead". The huge game of one upsmanship hits a feverish conclusion! So much to discuss. Listen up! ]]> Nonstop Culture yes Power “Who You Are and Who You Want to Be” Review http://www.nonstopculture.com/2015/07/16/power-who-you-are-and-who-you-want-to-be-review/ http://www.nonstopculture.com/2015/07/16/power-who-you-are-and-who-you-want-to-be-review/#respond Thu, 16 Jul 2015 14:00:50 +0000 http://www.adhdshow.com/?p=2451 http://www.nonstopculture.com/2015/07/16/power-who-you-are-and-who-you-want-to-be-review/feed/ 0 Revelations are in effect in the latest episode of Power "Who You Are and Who You Want to Be" Everyone knows something! 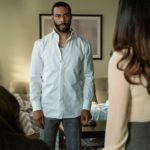 Is Tommy the real "Ghost"? Listen and find out what we think! ]]> Nonstop Culture yes Power “You’re the Only Person I Can Trust” Review http://www.nonstopculture.com/2015/06/30/power-youre-the-only-person-i-can-trust-review/ http://www.nonstopculture.com/2015/06/30/power-youre-the-only-person-i-can-trust-review/#respond Tue, 30 Jun 2015 14:00:02 +0000 http://www.adhdshow.com/?p=2434 http://www.nonstopculture.com/2015/06/30/power-youre-the-only-person-i-can-trust-review/feed/ 0 Jeff & Krissy review the latest episode of Power: "You're the only one I can trust". Ghost's whole world is coming apart, and we debate how he's handling the situation, and determine why he's hypocritical about his predicament. ]]> Nonstop Culture yes Power “Like We’re Any Other Couple” Review http://www.nonstopculture.com/2015/06/26/power-like-were-any-other-couple-review/ http://www.nonstopculture.com/2015/06/26/power-like-were-any-other-couple-review/#respond Fri, 26 Jun 2015 14:52:21 +0000 http://www.adhdshow.com/?p=2424 http://www.nonstopculture.com/2015/06/26/power-like-were-any-other-couple-review/feed/ 0 Jeff and Krissy review the latest episode of Power "Like We're Any Other Couple". Power in Miami and it's as live as you would think! Check our thoughts and listen up!! ]]> Nonstop Culture yes Power “No Friends on the Street” Review http://www.nonstopculture.com/2015/06/19/power-no-friends-on-the-street-review/ http://www.nonstopculture.com/2015/06/19/power-no-friends-on-the-street-review/#respond Fri, 19 Jun 2015 14:00:01 +0000 http://www.adhdshow.com/?p=2394 http://www.nonstopculture.com/2015/06/19/power-no-friends-on-the-street-review/feed/ 0 Jeff & Krissy review the latest episode of Power "No Friends on the Street" Ghost fights a war on all fronts. 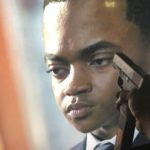 Tommy and his emotions, Playing yourself in a TV show and trash Haitian accents. BIG RICH TOWN!